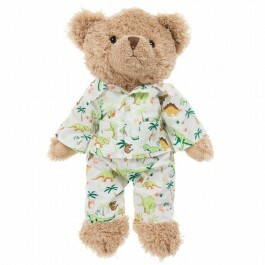 Soft teddy bear by Powell Craft, suitable for both boys and girls. 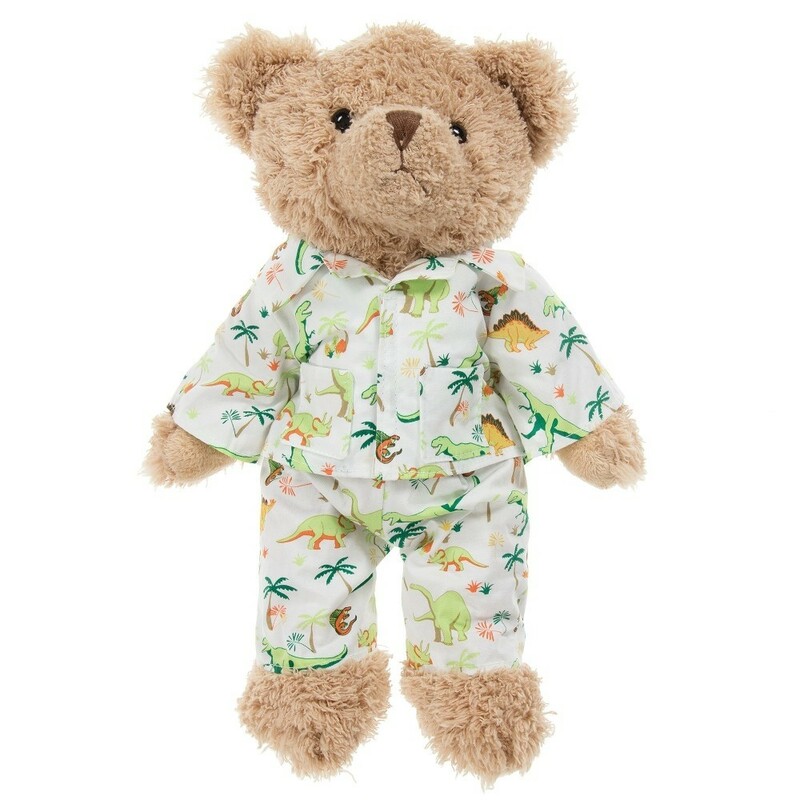 This cute, fluffy, light brown teddy bear is wearing pyjamas and a pointed hat with a dinosaur print. The pyjamas cannot be removed.